On May 13 1939 the SS St Louis, a German ocean liner, set sail from Hamburg. On board were 915 Jewish refugees hoping to escape gathering oppression in Europe. There were dances and concerts aboard the luxury vessel and the indulgent captain permitted passengers to throw a tablecloth over an offending bust of Adolf Hitler. Two weeks later, the ship dropped anchor in Havana, pending what passengers, who had purchased Cuban visas, fully expected to be a warm reception. It was not to be. The Cuban authorities turned them away as, subsequently, did those of the US and Canada. The St Louis was obliged to return to Europe. An estimated quarter of its passengers ended up perishing in Nazi concentration camps. The St Louis story is served up as a shameful indictment of our forefathers. Yet 75 years later, something just as grotesque is playing out on the azure waters of the Andaman Sea (not to mention the Mediterranean). In the past few weeks, at least 6,000 refugees have been cut adrift in the ocean, refused entry by Thailand, Malaysia and Indonesia. Some 300 have died this year, according to the UN. Dehydrated, emaciated and desperate, unless the situation changes rapidly, many more lives will be lost. For the Rohingya, the bulk of the refugees, there are echoes of the treatment of Jews in Europe. Many are fleeing refugee centres that have been compared to concentration camps. They are a Muslim minority in Myanmar and Bangladesh. 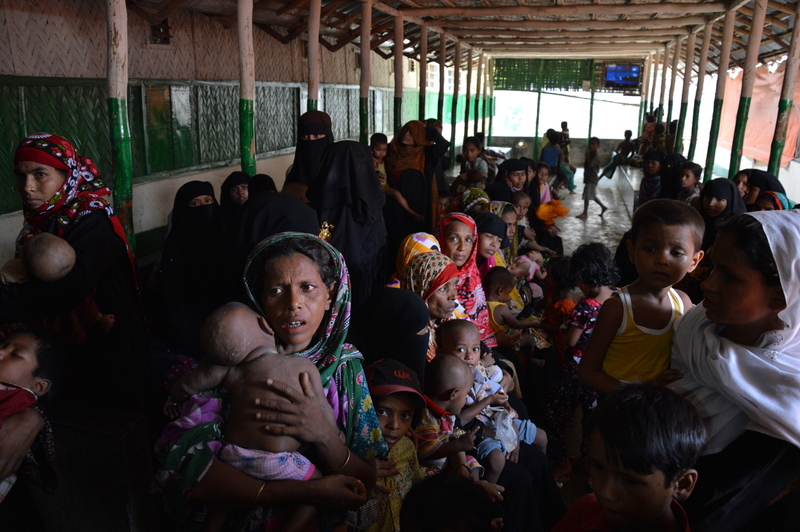 In March the Simon-Skjodt Center for the Prevention of Genocide sent a mission to Myanmar, where up to 1m Rohingya live in Rakhine state. It found they had been “subject to dehumanisation through rampant hate speech, the denial of citizenship, and restrictions on freedom of movement”. Its report concluded that the Rohingya, at least 170 of whom died in mob violence in 2012, were at “grave risk of additional mass atrocities and even genocide”. This conclusion may be premature. As Richard Horsey, a political analyst, points out, an organisation whose raison d’être is the prevention of genocide will tend to see things through that lens. Still, the conditions of the Rohingya -- most of whom are denied citizenship by both Myanmar and Bangladesh -- are deplorable and getting worse. Who are the Rohingya? Like any ethnically charged question, that is fiercely disputed. To the Buddhists who are the majority in Rakhine state, the dark-skinned Rohingya are interlopers from Bangladesh, referred to pejoratively as “Bengalis”. The Rakhine, who have a proud history of independence, are themselves a persecuted minority. Rohingya trace their origins in Rakhine back to the 15th century. Many others arrived in the British colonial period from 1825 when both Rakhine and Bengal were part of British India. In the second world war, the Rohingya fought with the British, while the Rakhine supported the Japanese who were fleetingly regarded as liberators. Bitterness from that period has lasted until this day. Anti-Rohingya and anti-Muslim sentiment more generally has hardened since 2010 when the generals who had run Myanmar for decades slowly lifted their oppressive boot. More free speech has meant more hate speech, much of it directed at Muslims. In April, the government withdrew temporary identity cards after a backlash from Buddhists who did not want the Rohingya to vote. Now, without an official identity, most Rohingya are even more exposed to arbitrary arrest and curbs on movement that imperil their ability to make a living. The sense of hopelessness has pushed increasing numbers to flee. 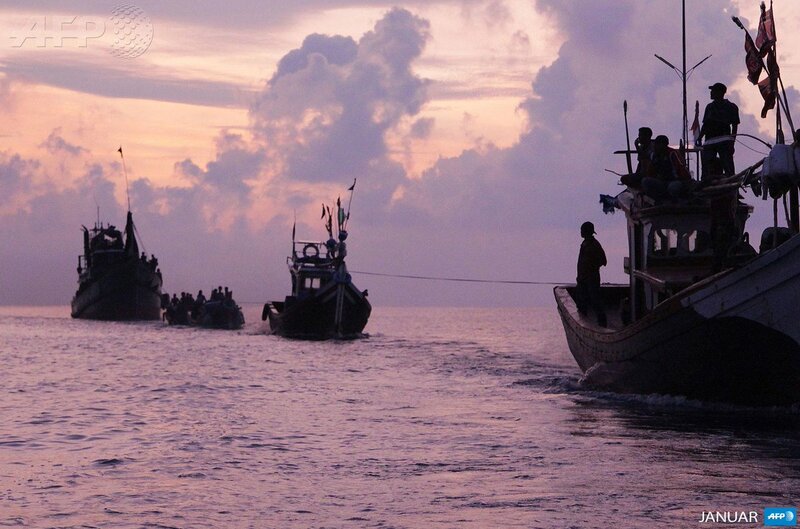 The boats on which the Rohingya have escaped offer no dances or on-board entertainment. Now, cut adrift at sea, like the Jews on board the St Louis, the Rohingya have been refused entry to potential safe havens -- although Malaysia and Indonesia have announced an offer of temporary shelter. With smuggling routes cut off -- at least for the time being -- it ought to be a relatively simple matter to rescue the 6,000 or so refugees still at sea and to find them a home. That, of course, leaves the more intractable problem of whether Myanmar can reverse its blatantly discriminatory policies. When even Aung San Suu Kyi, the country’s democratic icon, hesitates to use the term Rohingya for fear of offending her Buddhist constituents, there seems little prospect of that. Yet if nothing is done to alleviate the suffering of this blighted minority, comparisons with the Jews of 1930s Europe will look evermore apt. Rohingya women and children were brutally slaughtered by Burmese security forces and armed thugs following a raid on their village at Du Char Yar Tan on January 14th 2014. I tweeted this poem last night from bed, as I lay there waiting for news from my Rohingya friends who I knew had been awake all night, wondering if their homes were to be raided following an order to arrest all Rohingya men and boys over the age of ten. We feared that the men would be taken away to be killed, and that the women left would be raped and their children hacked to pieces, as had happened the week before at the village of Duchiradan (also known as Du Char Yar Tan as well as Kiladong). Indeed all the warning signs were there for an imminent massacre following a period of propaganda, visits by the infamous 969 group to the area, a call for militias who were understood to now be in training, and an official meeting where Rohingya village leaders had been warned of the fragility of their existence. The last line I wrote with hesitation. Should I have put a question mark at the end? This morning, my Rohingya friends are still alive, and people are coming together it appears. Officials behind the scenes are holding urgent meetings and in the media today we have official confirmation from Fortify Rights of the massacre we know took place. Pressure is on to stop the genocide. I am hopeful. All talk of immigration in the UK is poisoned. People are looking at the plight of the Rohingya with all the sentiment that such distance allows. It's a tragedy. What it isn't is a problem in need of a solution, let alone a chance to do a work of unqualified good. 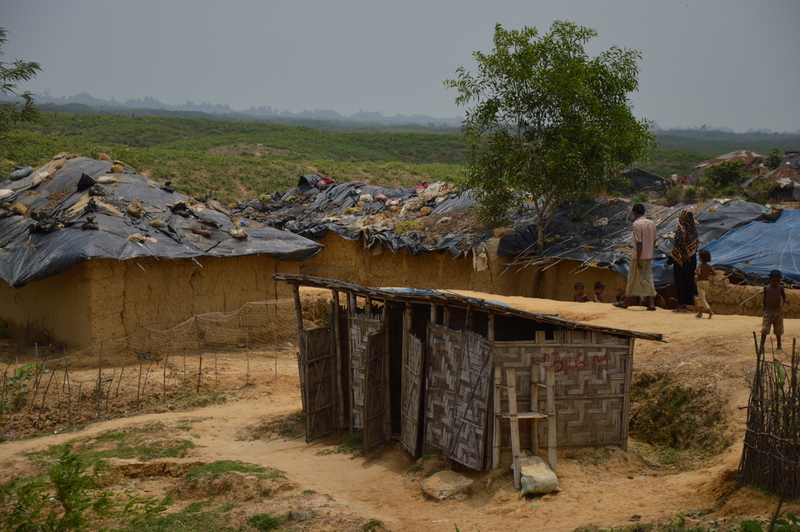 Here there is neither sentiment nor attention allowed the Rohingya. That the persecution and apartheid of their communities, very much after the Nazi model, are happening not only with permission but on the incitement of a curious strain of violent Buddhism is a thought that very few people here would be capable of considering. But it is a political situation. if not to address such situations what use are politics and politicians, after all? "In a genocide silence is complicity, and so it is with Aung San Suu Kyi and Burma’s desperate Rohingya community. 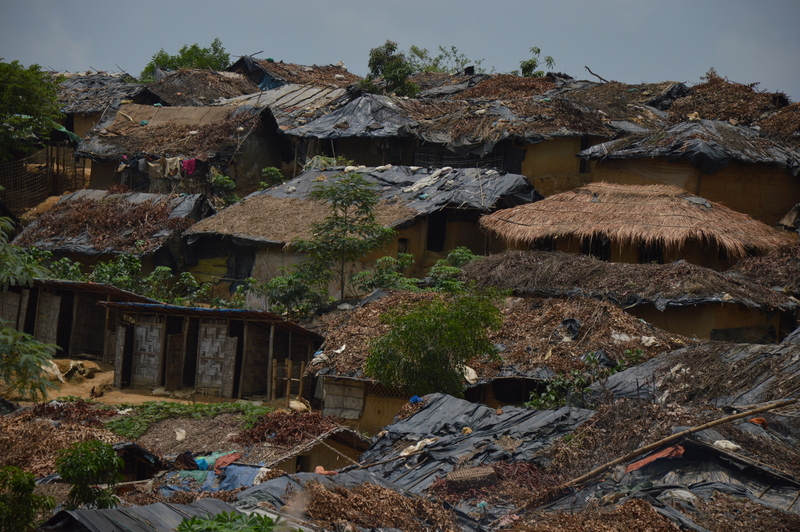 The Burmese government’s ongoing persecution of the Rohingya has, in the last two years, reached a level so untenable that the Rohingya are faced with only two options, to remain and risk annihilation or flee. The current exodus of those seeking asylum is just one manifestation of genocide. "Genocide is a process built up over a period of years involving an escalation in the dehumanisation and persecution of the target group. Inside Burma, the Rohingya have been subjected to decades of stigmatization, violence and harassment. "In 2012 the persecution entered a new and more devastating phase. Organised massacres left over 200 Rohingya dead, hundreds of homes destroyed and the displacement of 120,000 people into what can only be described as detention camps. 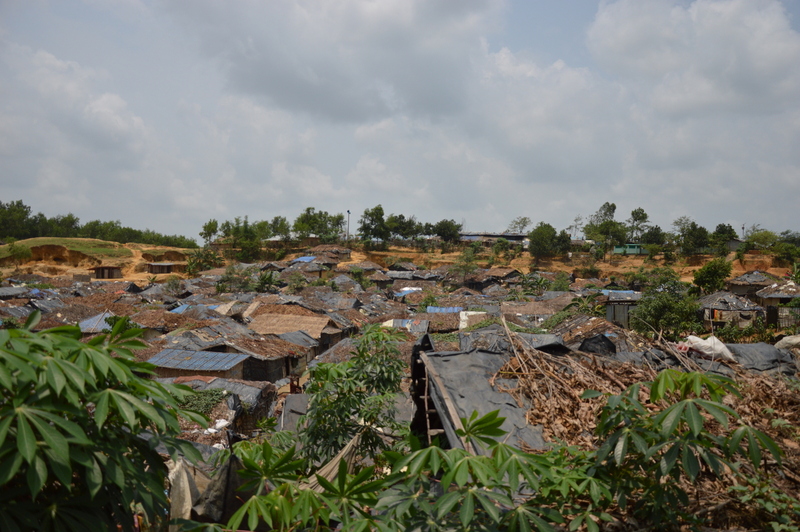 A further 4,250 desperate Rohingya live in a squalid ghetto in Rakhine state’s capital Sittwe. The Burmese state, without any challenge from opposition leader Aung San Suu Kyi, has institutionalized discrimination against the Rohingya, allowed hate speech to flourish, encouraged islamophobia and granted impunity to perpetrators of the violence. "In October 2013, in an interview with Mishal Husein, Aung San Suu Kyi claimed that the 2012 violence was not ethnic cleansing but the product of ‘fear on both sides… it is not just on the part of Muslims but the Buddhists too. Muslims have been targeted but also Buddhists have been subject to violence’. Our research makes clear that to equate the suffering of the Burmese with the suffering of the Rohingya is risible. "The Rohingya have now faced what genocide scholar Daniel Feirestein describes as ‘systematic weakening’, the genocidal stage prior to annihilation. Those who do not flee suffer destitution, malnutrition and starvation, severe physical and mental illness, restrictions on movement, education, marriage, childbirth, livelihood and the ever present threat of violence and corruption. 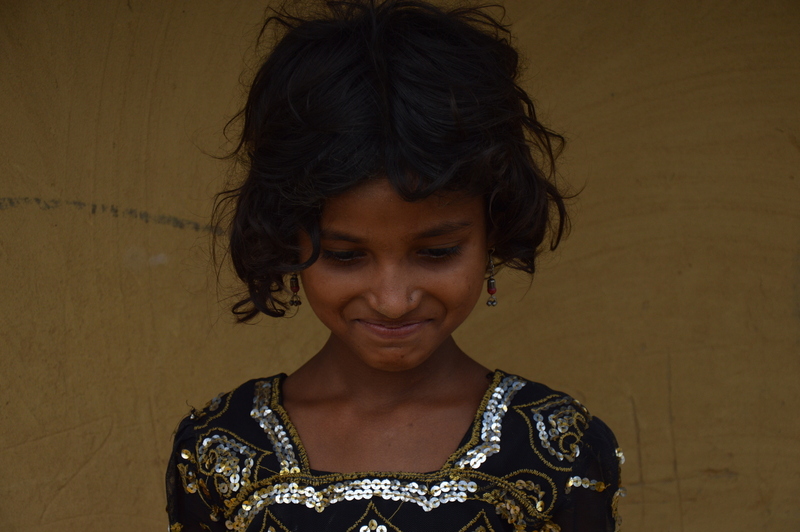 The Rohingya have been physically and mentally weakened, forced into communities broken by persecution and stripped of agency and human dignity. 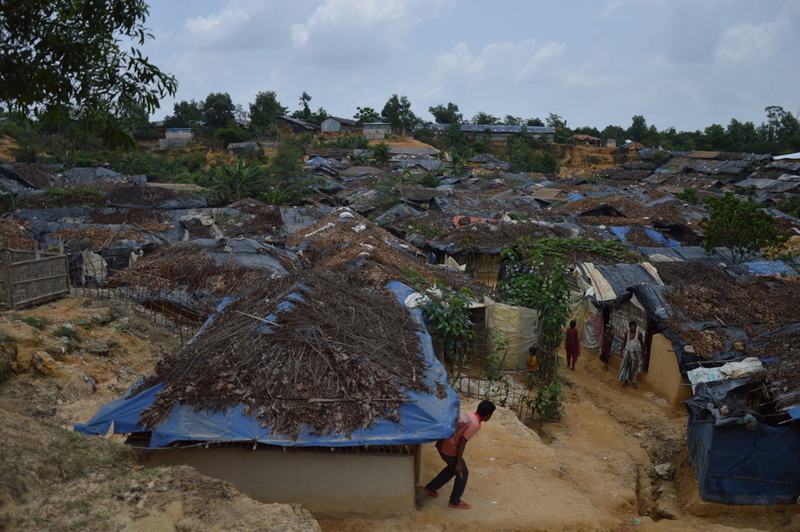 The expulsion of Medecins Sans Frontier, the denial of emergency healthcare and the regulation of humanitarian aid are all designed to further systematically weaken the Rohingya community. "Electoralism is part of the answer. Aung San Suu Kyi is an ambitious politician, who has set her sights on one day ruling Burma. The entire Rohingya population has been disenfranchised, ahead of elections to be held later this year, and thus they hold no electoral power. It is true that to speak out against the genocidal persecution of the Rohingya is likely to lose her many votes among the Burmese Buddhist majority, but it might not. She once held enormous moral and political capital and had the chance to challenge the vile racism and Islamophobia which characterises Burmese political and social discourse. Many Burmese human rights activists and their followers would have listened, may have learned, and may have begun to question the institutionalised racism which impacts negatively on all Burmese. This was never to be on Aung San Suu Kyi’s political agenda. In December 2014, it was reported in the Washington Post that she had said, ‘I am not silent because of political calculation, I am silent because whoever’s side I stand on there will be more blood. If I speak up for human rights, they (the Rohingya) will only suffer. There will be more blood’. Political calculations aside, The Rohingya are on a freeway to destruction. There has been blood, there is blood, and there will be much more blood if the Burmese government is not stopped in its tracks. "If we wait for Aung San Suu Kyi to speak out against this genocide, there will be no Rohingya." re Aung San Suu Kyi's silence on the genocide of Rohingya Muslims: "Speak nothing about evil and it (the Rohingya) will vanish from the face of the earth." What a perspective. Well, of course, "The Lady" is an international celebrity with high-end "charisma", even an "iconic figure" (yet), a "humanitarian saint", "elegant" and "cosmopolitan", &c &c.
Then again she's a human, and a politician. A few thoughtful words from her, suggesting she has, let's just go out on a limb and say, a conscience, might affect the elections. The words also might risk chipping the halo. We wouldn't want that, now, would we. What's a little betrayal amid a politically tenable genocide, after all? Greater good and all that.